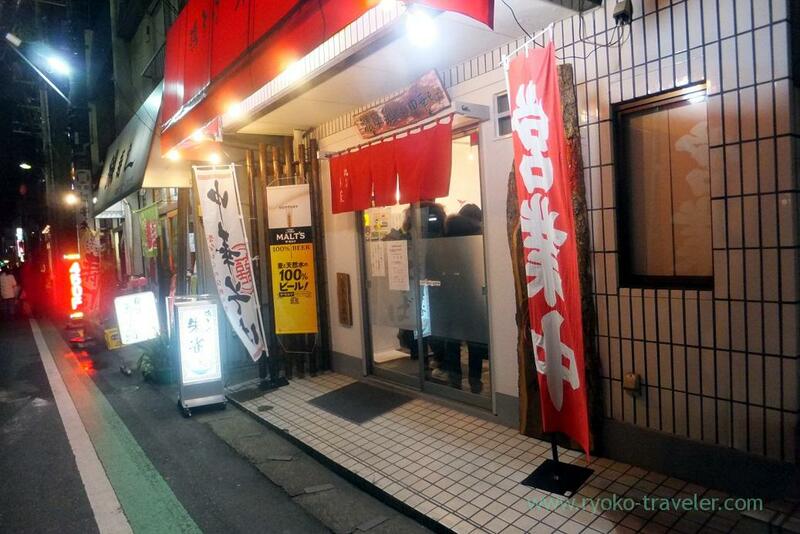 New ramen shop in front of Shimousa Nakayama sta. I didn’t know about this restaurant at all until my friend ask me to have dinner with him at there. When we got to there around 7 p.m., there was only one person there. It stand in front of Shimousa Nakayama station. It takes about 40 minutes from Tokyo by train. 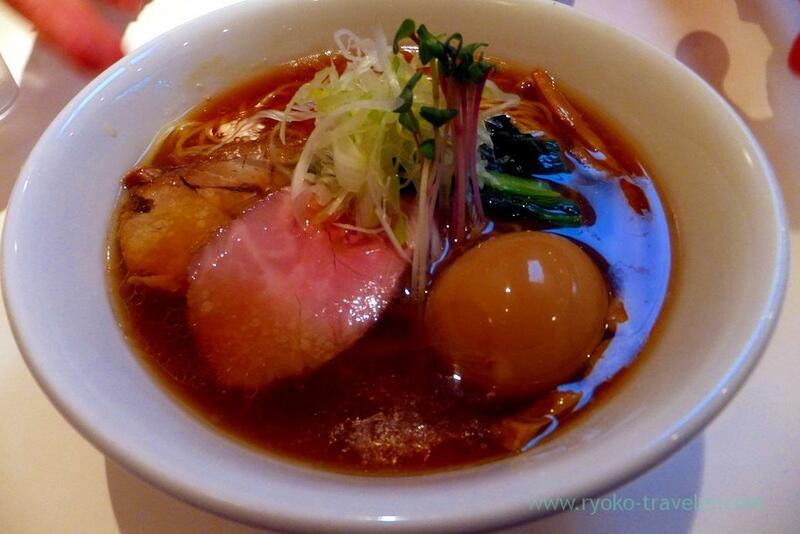 They serve miso, shoyu (soy sauce) and shio (salted) ramen based on chicken and fish soup. The staff asked us how about our noodles texture. We ordered medium texture. 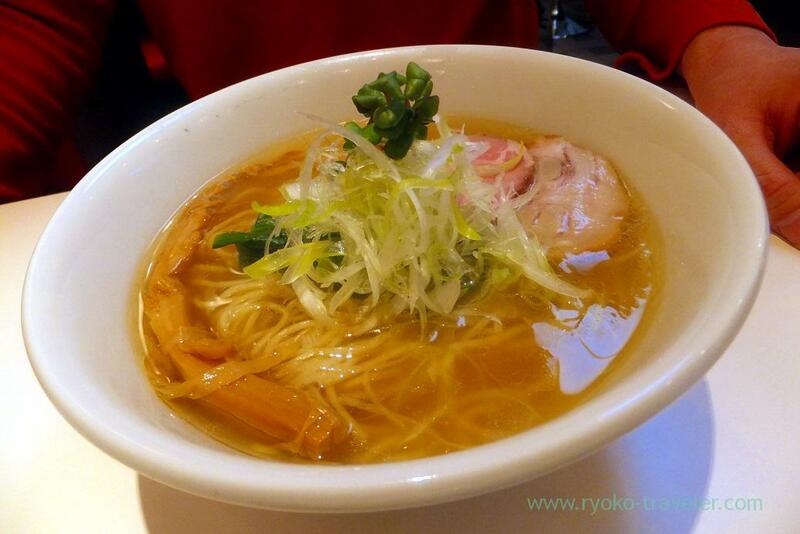 This is my Shio ramen (鶏そば 塩, 680 yen). roast pork, menma, spinach, sprouts and green onions on it. Plenty of ingredients on it. This clear salted soup was delicious.Though it had much oil, it had light texture. My friend’s Shoyu ramen (鶏そば 醤油, 680 yen) with boiled egg (玉子, 100 yen). 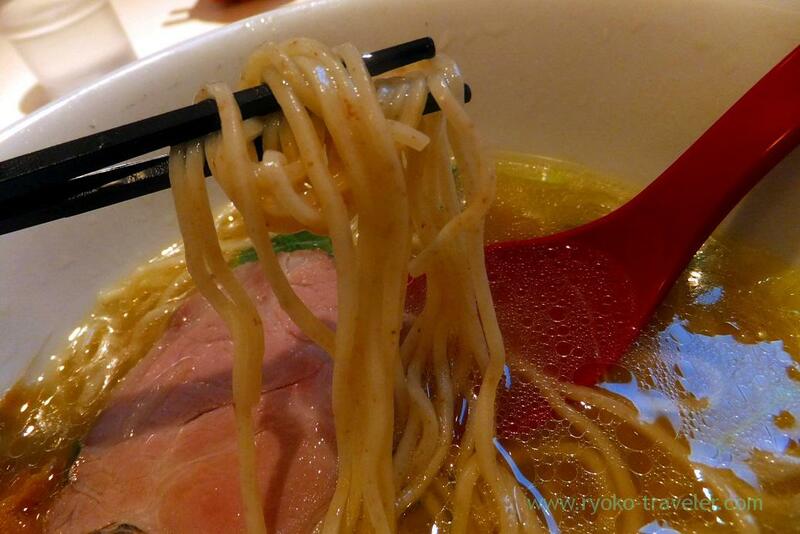 Shio ramen is better than shoyu ramen if you want to taste the chicken and fish broth. When we got out of the shop, many people came in succession. 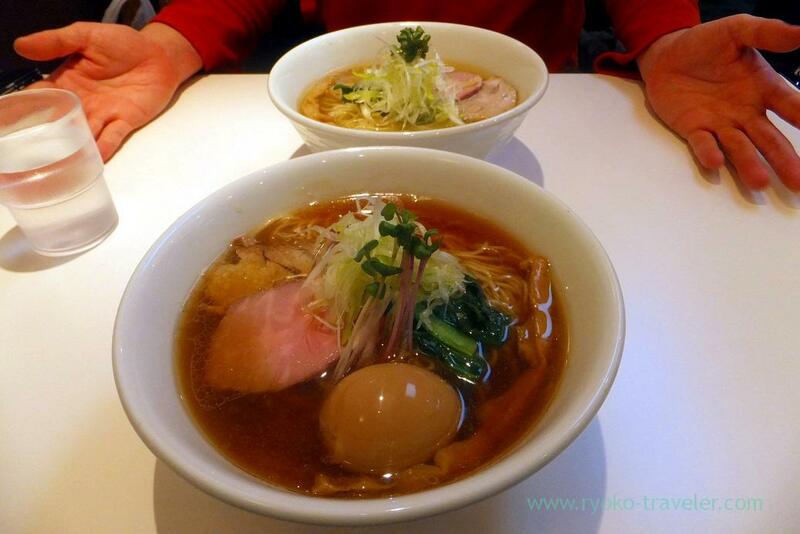 I think it is already one of the popular ramen shop in Chiba.